A recent study suggests that the technique used to produce these stone tools would have needed a modern human-like hand. The technique, known as 'platform preparation, involves designing a striking area on a tool to remove specific stone flakes and shape the tool into a pre-conceived design. When talking about early stone tools, researchers rarely mention the involvement of human hands in actually developing those tools. To this bridge this missing link, a recent study suggests that the technique used to produce these stone tools would have needed a modern human-like hand. 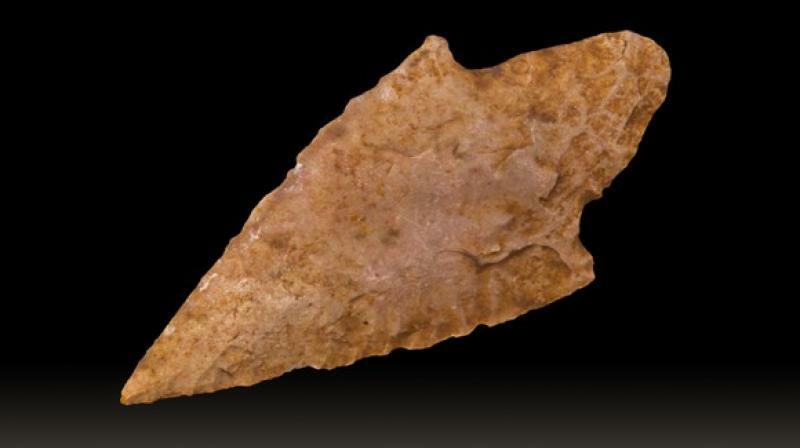 The researchers have suggested that without the ability to perform highly forceful precision grips, our ancestors would not have been able to produce advanced types of a stone tool like spear points. 'Platform preparation' is essential for making many different types of advanced prehistoric stone tool, with the earliest known occurrence observed at the 500,000-year-old site of Boxgrove in West Sussex (UK). The study investigated how hands were used during the production of different types of early stone technology. The research demonstrates that the early humans would have needed significantly stronger grips compared to earlier populations, who did not perform this behaviour. Researchers further suggested that highly modified and shaped stone tools, such as the handaxes discovered at Boxgrove and stone spear points found in later prehistory, may not have been possible to produce until humans evolved the ability to perform particularly forceful grips. The full findings appeared in the journal- PeerJ.